The bottom line: More than ever folks are accessing websites, videos, podcasts, blogs and other online information on their mobile devices. As part of its mission, RootsTech helps family historians embrace these new technologies. Well, RootsTech has already gotten off to a running start by introducing attendees to Flipboard, a free magazine app available for all major mobile platforms. RootsTech 2014: Where Genealogy and Technology Converge is a Flipboard magazine published by Genealogy Gems in conjunction with the RootsTech team. The magazine crowd-sources great web content from RootsTech speakers, exhibitors, and official bloggers in one beautiful and convenient place. It is multimedia, too – you’ll find video and audio content as well as text. 1. Get the free Flipboard app at flipboard.com, in iTunes or Google Play. 2. Set up your free account. 3. In the search box at the top of the homepage, search for ROOTSTECH. 4. 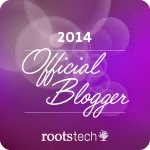 Tap “RootsTech 2014″ by Lisa Louise Cooke (you’ll see a magazine icon next to it). 5. When the magazine loads, tap the SUBSCRIBE icon at the top of the page. You can also access the magazine through your browser at http://tinyurl.com/RootsTech2014. As you can see, Flipboard offers exciting possibilities for curating, organizing, and presenting online content. It aggregates social network, other online content and RSS channels for Android, Blackberry 10, iOS, Windows 8, and Windows Phone 8. Content is presented in a captivating magazine format, allowing users to “flip” through it with a simple swipe of the finger. PODCAST: Tune in to the newest Genealogy Gems Blog and Podcast episode #163 for Lisa’s exclusive interview with the folks at Flipboard who provide tips and tricks for creating magazines! · FAMILYSEARCH: Click here to read FamilySearch’s press release on RootsTech 2014: Where Genealogy and Technology Converge. ROOTSTECH: Attendees can catch Lisa’s workshop “Flipboard for Genealogy: Create Incredible Mobile Magazines of Your Favorite Genealogy Web Content” on Thursday at 4:00pm (LAB1263T) and Friday at 2:30 PM (LAB-1263F). Register at www.Rootstech.org. Session description: Turn your favorite genealogy web content into a customized and personalized digital magazine with the free Flipboard app. You’ll add free genealogy blogs, podcasts and video channels to your mobile devices (tablets, smart phones) in this hands-on session."